Do you want to get more out of your email efforts? More opens, more clicks, and more conversions? One of the best ways to ensure a successful email marketing program is to send valuable, targeted, focused communication to your subscribers. Today we’re excited to announce the availability of BlueView, a service that allows marketers to send even more targeted and focused messages to your audience. BlueView provides access to publicly available information about email subscribers, including age, gender, and geographic location. Click the images below to view BlueView data and subscriber information. 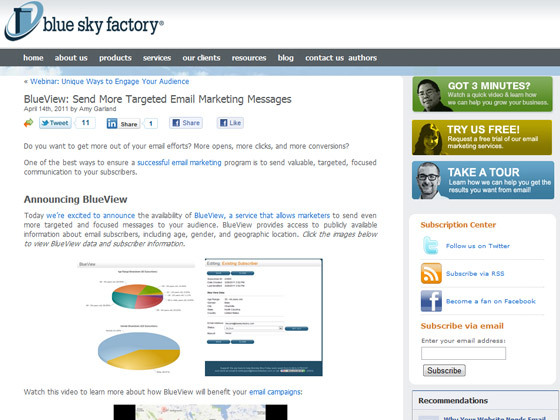 Blue Sky Factory’s new offering will change the way you send email. With the data that BlueView provides, your messages will be more focused, appropriate, and will ultimately be more valuable to your audience, resulting in more conversions and engagement for your email marketing campaigns. Hey thank you for nice targeted email marketing information and guide. 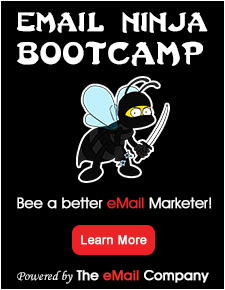 I will just say that targeted email marketing works, if you know how to use it properly. This requires targeted leads and strong relationship with your list. Which you can build by giving them enough quality information and help them solving their problems, this way they will trust you and admire your recommendations. Hope this information will help.